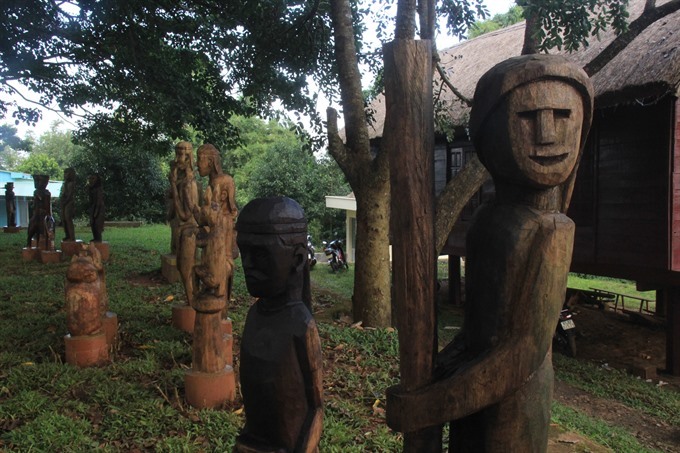 GIA LAI — An area displaying traditional wooden statues of the Jrai and Bahnar ethnic groups is open to the public in Ốp Village in the central province of Gia Lai as a precede to a traditional Gong Festival that will be held in early November. The display features 56 statues portraying the daily activities and festivals of two main ethnic groups in Gia Lai, aiming to introduce the cultures of the groups at the upcoming festival. It is also expected to raise awareness of preserving and promoting traditional handicrafts. The collection features animals, humans and innate objects. 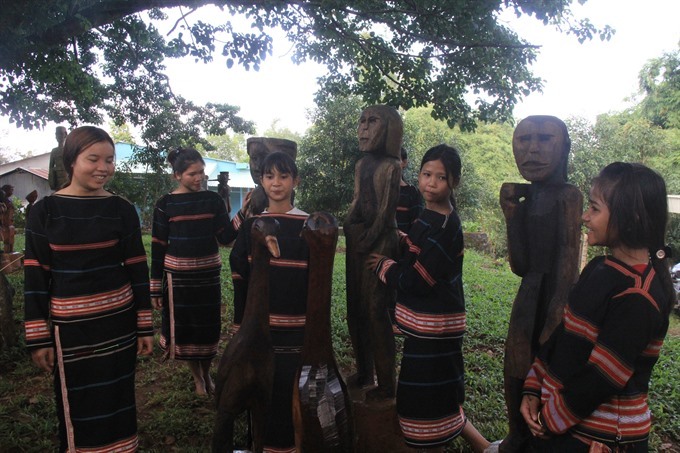 According to artisan Ksor Hnao from Kép Village, the Jrai wooden carvings are a unique form of arts and traditional culture of the ethnic groups in Việt Nam’s Central Highlands. “The traditional statues are used as decorations in communal houses – also known as Rông houses – and funeral houses dedicated to the dead during the Pơ Thi Festival, an event to bid farewell to the dead, which is also a major festival for both the Bahnar and Jrai peoples in Gia Lai Province,” he said.